As many of you know Tacoma Community Boat Builders has been working with Rusty George Creative to develop a new logo and brand. We love the Northwesterly point of the compass and the woodgrain in the center. The inner triangles represent you, our community, gathered around the youth served in our programs. Thanks to Rusty and his fine team, and after much contemplation and hard work, we are ready to make the biggest change of all! 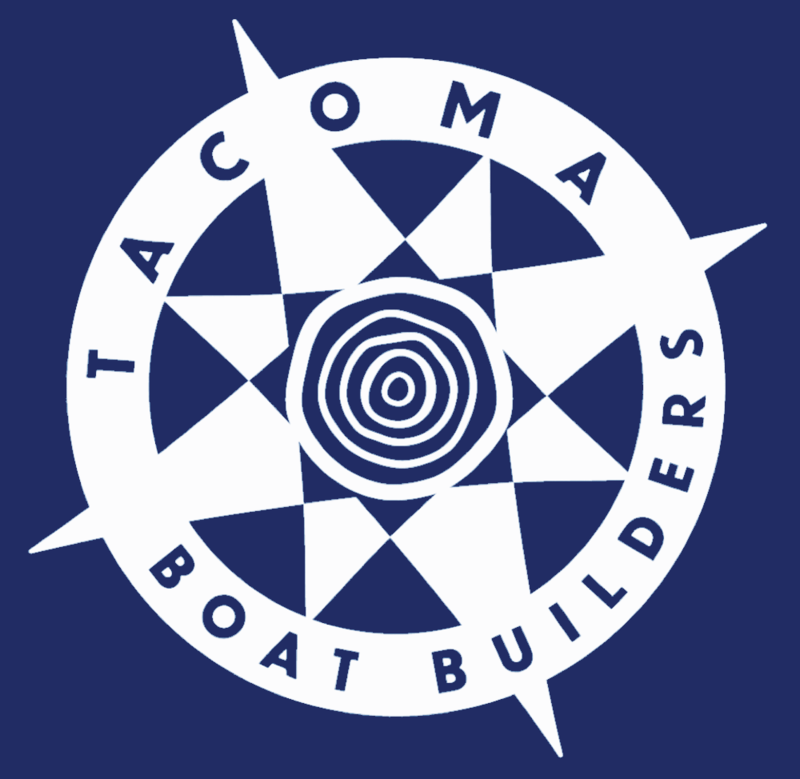 Soon you will see a new website and our new name: Tacoma Boat Builders. The name is little shorter, and easier to remember. Community is an integral part of our mission, that will always be true. We feel this new look and name are a great match to the mission and vision for supporting youth and families through building and restoring boats as well as lives with hands-on learning and mentorship from some of the finest humans you’ll ever meet. Mark your calendar for our 2019 Fundraiser Auction on October 11, 2019! We're the 2018 Volunteer Group of the Year! Tacoma Boat Builders was recently recognized as the 2018 Volunteer Group of the Year by Pierce County. Read more. As a non-profit service organization, we are completely dependent on grants and contributions. Please make a donation to Tacoma Community Boat Builders to allow us to continue our work with at-risk youth.